When you have an Oriental rug and it isn't looking as good as it used to look it might be time for it to be cleaned. And you should have no other company but ours do the Oriental rug cleaning in Norman, OK. that you want to have done. You should let us care for your rug because we will be gentle with it. We will make sure that we do no harm to it, but we will work hard to give it a fresh and clean look. We will get the dirt out of it and make it look as neat and new as possible, and you will feel great when that happens. You can count on us to give your rug the right kind of cleaning, and that is why you should hire our company instead of another. You are going to be glad that you picked our company to work on the rug because this kind of cleaning can't be done through every company. You need the right ones to give your rug good care, and you will be happy that you picked our company to do this important work for you. Your house will look a bit neater and tidier when you have the Oriental rug cleaning in Norman, OK. done by our company. The rug will be at its best and looking great, and the rest of the house will appear a bit nicer because of it. You might even feel encouraged and motivated to pick up around the house a bit because the rug looks so nice compared with everything else. No matter what you do there, though, you are going to appreciate how great the rug looks. 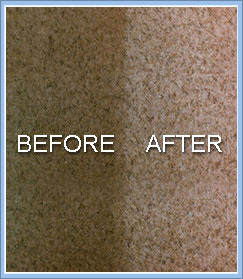 And you are going to be glad that you found the right company to do this important cleaning of the rug for you.